Bandstand will be the next occupant of the Bernard B. Jacobs Theatre when The Color Purple vacates the venue on January 8, 2017. Directed and choreographed by Hamilton's Andy Blankenbuehler and starring two-time Tony nominee Laura Osnes and Corey Cott, the previously announced transfer of the Paper Mill Playhouse production will begin previews on March 31. Opening night is scheduled for April 26. Osnes and Cott will both reprise their roles in the new tuner. Set in the smoke filled, swing fueled night clubs of 1945, Bandstand brings the against-all-odds story of singer/songwriter Donny Novitski (Cott) and his band of mismatched fellow WWII veterans to the stage. When a national radio contest to find America’s next big swing band offers a chance at instant fame and Hollywood fortune, Donny must whip his wise-cracking gang of jazzers into fighting shape. Teaming up with the beautiful young war widow Julia (Osnes) as their singer, they struggle to confront the lingering effects and secrets of the battlefield that threaten to tear them apart. Playing for every voiceless underdog in a world that has left them behind, they risk everything in the final live broadcast to redefine the meaning of victory. 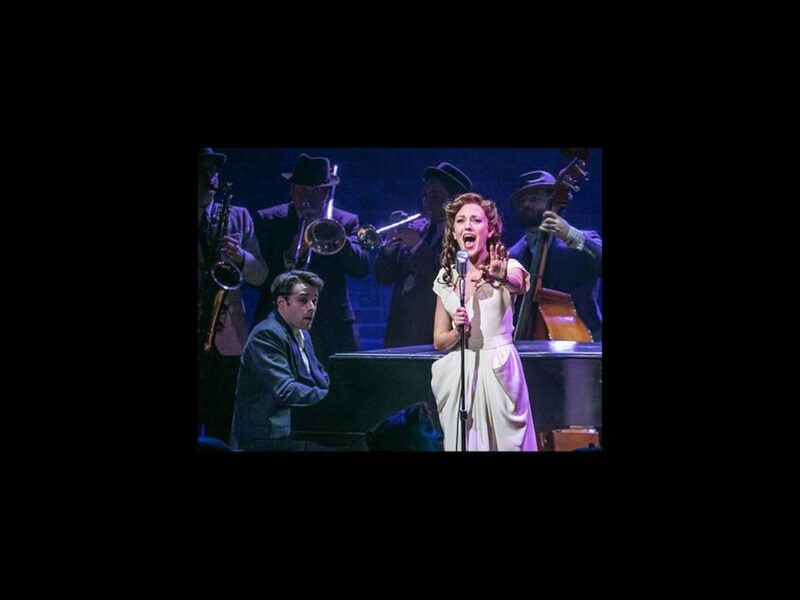 With an explosive original score and choreography inspired by the high energy swing rhythms of the era, Bandstand is a truly American story of love, loss, triumph and the everyday men and women whose personal bravery defined a nation. Additional casting and creative team will be announced shortly. The Paper Mill company also included Tony winner Beth Leavel, Joe Carroll, Brandon J. Ellis, James Nathan Hopkins, Geoff Packard and Joey Pero.